Redskins Gab - Page 4 of 282 - The Definitive Washington Redskins Blog! 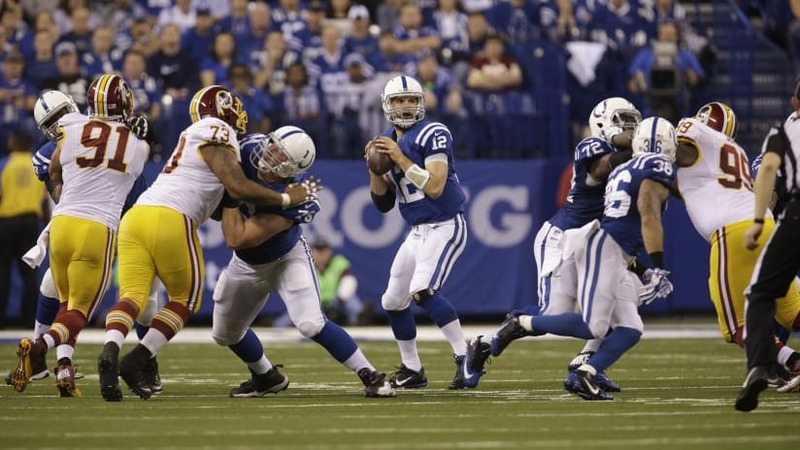 NFL Analyst Brian Baldinger previews the Week 2 game between the Indianapolis Colts and the Washington Redskins. The Redskins season is set to kickoff this week along with the rest of the NFL, and while there’s still a few days before the season starts, today we will run through their entire schedule one-by-one and give you the wins and losses in our mind for the squad. Week One 9/9 at Arizona – The 2018 season kicks off with a game in Arizona against a Cards team that is going to be in transition with Sam Bradford as their starting QB. It would be nice to get off to a fast start, and with Alex Smith leading the way, the Skins start 1-0 with a hard fought win at the end. Week Two 9/16 vs Indianapolis – The 2018 home opener sees Andrew Luck and the Colts in town, with Luck trying to get his career back on track after missing an entire year. The Skins D should be able to do enough to create a turnover or two, and with it should be able to surprise and get to 2-0. Week Three 9/23 at Green Bay – The Packers will get the Skins after they are 2-0, and Aaron Rodgers and the Pack will make the Redskins pay with a secondary meltdown as he throws for 348 yards and three scores in an easy Packers win. Week Four BYE – The Redskins work on their beat down from the week before by the Packers. The Redskins are talking about bringing in a big name running back, but one who was on two teams last season – that being one-time Vikings running back Adrian Peterson. 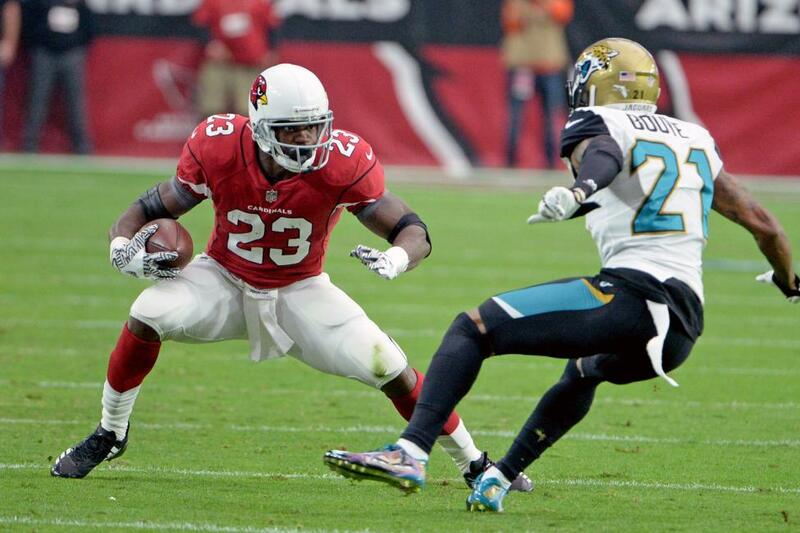 Peterson started last season in New Orleans and was traded to the Arizona Cardinals, and is still a free agent on the open market. Here’s the tweet about the possible move for the Redskins backfield. The #Redskins are hosting veteran RB Adrian Peterson, sources tell me and @MikeGarafolo. The Pro Bowler is an intriguing option for Washington. There’s no love lost between Terrelle Pryor and the Redskins, Matt Stypulkoski of NJ Advance Media reports. 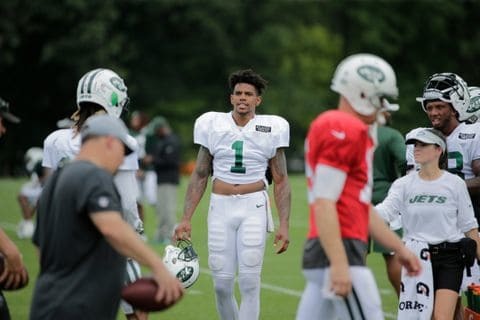 The Jets’ wide receiver and his former team came into this week’s joint practices surrounded by controversy. But for the most part, they’ve stayed out of trouble. After Pryor went one-on-one with Redskins’ safety D.J. 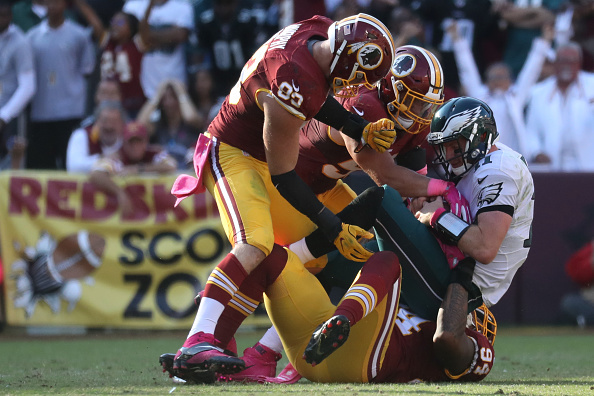 Swearinger, the two started jawing back and forth. That led to Swearinger throwing a fake punch, which Pryor fell for – and flinched in a major way. That incident was just one of a few during the teams’ final joint practice on Tuesday. Jets defensive end Nathan Shepherd got into a shoving and wrestling match with Shawn Lauvao during team drills, drawing a crowd. A little earlier, a full-team skirmish broke out between the Jets’ offense and Redskins’ defense, though no punches were thrown. Jets’ defensive back Rashard Robinson got into a verbal war with Redskins’ tight end Cam Sims during 7-on-7 drills, too. That was tame compared to Sunday’s practice, though. The first joint workout between the two teams devolved into chaos with a handful of large fights, which Todd Bowles later admonished. 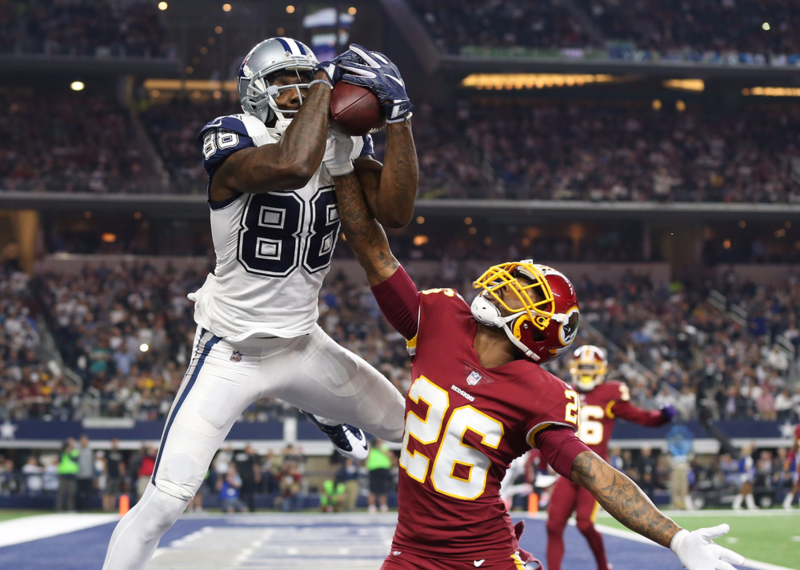 Redskins wide receiver Josh Doctson went down with a shoulder injury during Wednesday’s practice that “sounds like an AC sprain and/or shoulder bruise according to Ian Rapoport of NFL.com. This is good news after Doctson went down hard on the shoulder while battling for a ball with cornerback Josh Norman and immediately left the field to seek treatment inside the team facility. AC sprains are considered day-to-day injuries. The Redskins will likely hold him out of practice for the rest of the week as a precaution but the 25-year-old does not appear to be in danger of missing any preseason action. Originally the No.22-overall pick in the 2016 draft out of TCU, Doctson missed most of his rookie season due to injuries. He led the Redskins in receiving touchdowns with six during his sophomore campaign in 2017 but was wildly inconsistent, catching only 44.9% of the passes thrown his way. Doctson needs as much work as possible to get his timing with new QB Alex Smith down as the team is looking for him to take a major leap forward in 2018. 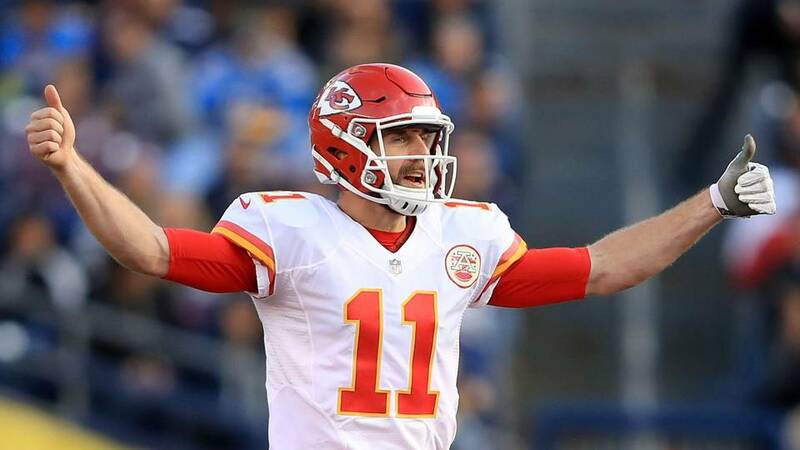 Can Alex Smith Overcome Past Failures and Lead the Redskins to the Promise Land? Alex Smith is a scarred player, Vernon Davis said. The 12-year veteran tight end meant that as a good thing, Kareem Copeland of the Washington Post reports. “He’s playing at a totally different level than he’s ever played,” Davis said Saturday at the fifth annual White Party, benefiting the Boys & Girls Clubs of Greater Washington. The newest Redskins quarterback has seen the good, the bad and the ugly during the first 13 years of his career. There were enormous expectations as the No. 1 draft pick in 2005, but Smith never seemed to get fully settled in with San Francisco. He played under three coaches and six coordinators in seven years with the 49ers and, when the team reached the Super Bowl after the 2012 season, Smith watched from the bench as Colin Kaepernick directed the offense. The organization then handed the keys to Kaepernick and traded Smith to Kansas City, where he played five seasons before he was dealt to Washington and replaced by Patrick Mahomes. Davis, who was a teammate of Smith’s in San Francisco from 2006-12, believes all those trials and tribulations have prepared Smith for this moment. It cost the Redskins quite a bit to go out and get Smith, so having him come in and have any sort of issues upstairs is a major stumbling block that he’s got to come over. We will see if Davis is right and Smith can get right and help the team get moving in the right direction in 2018. 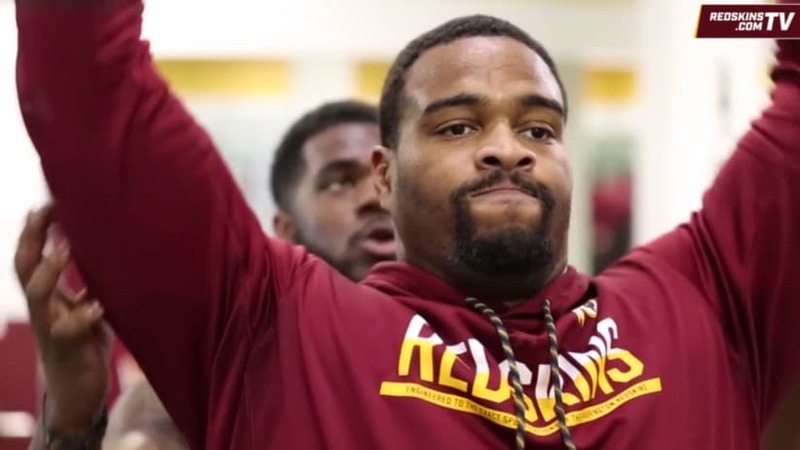 The Redskins plan to be cautious with Jonathan Allen after the defensive lineman missed 11 games last season with a foot injury, Matthew Paras of the Washington Times reports. Coach Jay Gruden said Allen, a 2017 first round pick, was fully healthy, but the Redskins limited Allen’s reps last Wednesday at OTAs. In October, Allen had surgery to repair a Lisfranc sprain. 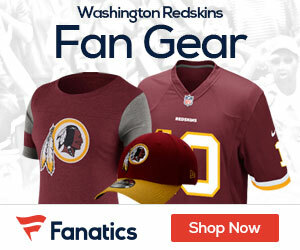 He began working with trainers off to the side in late November, though was ultimately held out of the Redskins’ final two games.